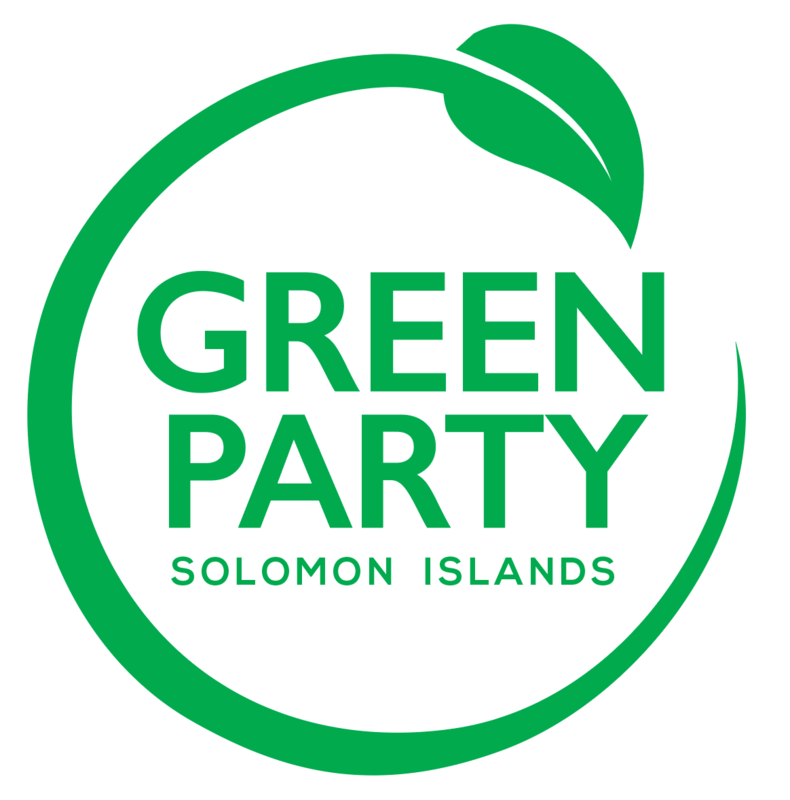 We are the Green Party of Solomon Islands. We aim to build a United, Peaceful, Prosperous, Sustainable Solomon Islands, for existing and future generations. This is our manifesto and these are our objectives. We are one people, but with different cultures, races, languages, beliefs, and norms, living in one country, our Solomon Islands. We depend on our environment, culture and communities and on each other for our very survival. We will work together to manage and share our resources in a sustainable way, ensuring we benefit as one people, united in our vision to support one another. We shall protect our land, our environment, our cultures, our communities and ourselves for the benefit of current and future generations. We shall encourage investment in activities that promote peace and unity amongst all Solomon Islanders and its development partners. We recognise that our natural resources have been exploited and harvested unsustainably, threatening our survival and the survival of future generations. We condemn the exploitation of resources. We commit to supporting out landowners to protect their resources and develop these sustainably to ensure long term revenue generation. We shall invest in activities that promote management and conservation of resources, respecting landowners and non-land owners equally. We acknowledge that Solomon Islanders have been unfairly treated, ignored and exploited through corrupt practices and are struggling to improve their standard of living. We commit to put Solomon Islanders welfare first, providing equal opportunities irrespective of gender, race, creed or disability and an equal start in life. Equal participation in business opportunities, access to funds, education, work prospects, health, employment, reducing inequality and inclusion in development projects. We know that human beings are part of the natural world and we respect all forms of life. We respect the wisdom of the indigenous people to look after the land and its resources. We must care for all ecosystems and preserve biodiversity. We think that the key to social justice is even and transparent distribution of social and natural resources, to meet basic human needs, and ensure that all citizens have full opportunities for personal and social development. We support transparent democracy in which all citizens have the right to express their views; and are able to directly participate in the environmental, economic, social and political decisions which affect their lives. We are committed to nonviolence and work for peace and cooperation between states, inside societies and between individuals. We believe that security should not rest mainly on military strength but on cooperation, sound economic and social development, environmental safety and respect for human rights. We support the sustainable use of renewable resources and responsible use of non-renewable resources. We believe that to achieve sustainability to provide for the needs of present and future generations continuing growth in global consumption, population and material inequity must be halted. We honour cultural, language, ethnic, religious and spiritual diversity and individual responsibility toward all beings. We defend the right of all persons, to an environment supporting their dignity, health and spiritual wellbeing.